It’s no secret to my literary friends that I have been somewhat obsessed with French writer Michel Leiris this year. I will address this fact further at a later date, but essentially, it is his autobiographical writing that fascinates me—it’s a very internalized, yet sharply observant form of writing about language, memory, and experience. In his epic journal project, Phantom Africa, a detailed, personal record of his experience as part of the Dakar-Djibouti ethnographic expedition in the early 1930s, one see him develop as a writer as the weeks and months past. With a background as a Surrealist poet and an essayist, he was a strong writer at the outset; what evolves over the course of the journey is an uncanny ability to lay himself open on the page with a distinct, idiosyncratic honesty. A discussion of this development forms the primary thread of my review of this critical work, published earlier this week at 3:AM Magazine. However, the publication of this valuable document in English, at this point in the ongoing post-colonial narrative, holds an importance that I only allude to in my critique. Leiris’ primary role on the expedition was as secretary-archivist. Ethnographic study was, for all intents and purposes, a mechanism of colonial control and exploitation. Thousands of artifacts, many with profound cultural and spiritual meaning, were collected for display in museums back in France. Some items were purchased, others taken by force or deceit, but in the end, it was all facilitated by an exercise of the power of the colonizer over the colonized. Leiris is not unaware of this fundamental inequity and he does express considerable concern and discontent with the ethics of the entire colonial enterprise, but he also admits to enjoying the thrill of the raid. Of course, it is not appropriate to measure a man outside the context of his times. 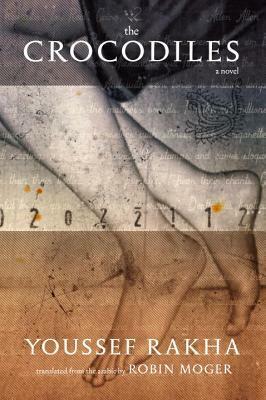 Leiris’ true gift here lies in is his candid, unedited, record of the events he knows of or takes part in. It forms a vital contribution to the argument in favour of the repatriation of lost art and artifacts to Africa. 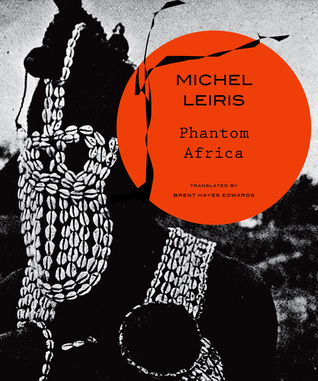 Phantom Africa, translated by Brent Hayes Edwards, is published by Seagull Books. My 3:AM review can be found here. The pages of A General Theory of Oblivion, by Angolan writer José Eduardo Agualusa, are populated by a colourful array of characters who, for the most, seem to be intent on forgetting, or being forgotten. None succeed. 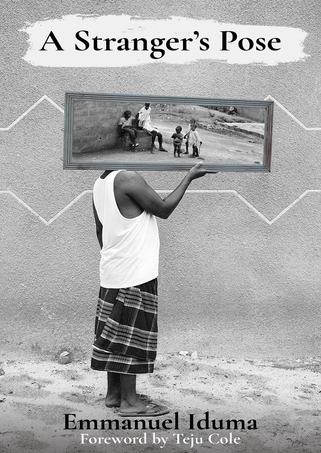 Their seemingly disparate life stories will turn, twist and eventually intersect as threads are dropped, picked up, retraced and woven into a tale that teems with magic against the backdrop of decades of brutal conflict and corruption that marked Angola’s painful emergence from colonialism. At the heart of this story is Ludo, a painfully agoraphobic Portuguese woman who, following the death of her parents, is cared for by her sister, Odette. When Odette marries a mining engineer, Ludo moves, along with the newlyweds to Luanda, the capital city of Angola. On the streets, the struggle for Independence is already underway, but Ludo does not venture out, she even shirks away from the windows and views the sky with terror. 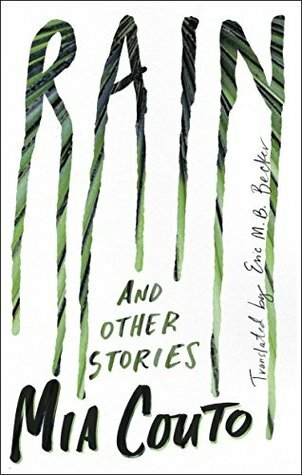 The cause of her nearly life-long fear of open spaces is finally explained in the final chapters of the book, but until that time her retreat from human contact and her obsessive, paranoid exile provides an anchor to the violent political drama that swirls, directly and indirectly, around her. Beyond the walls of Ludo’s dwelling, Agualusa traces the criss-crossing adventures of a number of people caught up in the ongoing conflicts that mark the unstable years following Independence. We have, among others, a Portuguese missionary who miraculously escapes fatal injury in an intended execution, an intelligence officer turned detective, a journalist who specializes in investigating disappearances, and a former prisoner who becomes a successful business man. Toss in a second life among a tribe of wandering shepherds, street kids, merciful nurses and a dancing hippo and you have a rich, magical tapestry that ultimately merges back at Ludo’s door where the elderly woman, is, by this time, living with a young orphaned boy who had arrived as a thief and ended up staying, providing a human companionship and support she had rarely known in her life. A General Theory of Oblivion reads with an element of allegory or fairytale – the fateful intersections may seem too neat, too coincidental. The number of competing characters required to facilitate the convergence of the story lines can seem complicated; there may be a tendency – especially if one is interrupted in the reading as I was by an inopportune winter head cold – to lose track of who’s who for a moment. But the energy is so infectious, the woman at the core is so endearing, despite or perhaps because of her extreme neurotic behaviour, that the book succeeds in creating awe where, in the hands of another author, it might simply feel false and contrived. That kind of approach to storytelling drives this novel. The horror of the era it covers is not downplayed or ignored but it is met with tremendous spirit and resilience, and in a world obsessed with threats and fear, that cannot help but feel magical, even unreal. 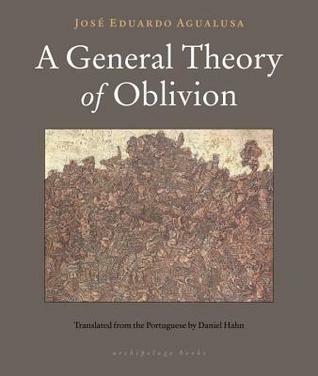 Translated by Daniel Hahn, A General Theory of Oblivion is published in North America by Archipelago Books. Last month I had worried about easing back into reading following my recent unexpected cardiac arrest, but, in fact, August went well. September has proved much more difficult. I have picked up so many books I thought I wanted to read only to be unable to get beyond a few pages. So it is probably no surprise that I retreated to the comfort zone of re-reading a book by one of my favourite authors. I chose this book on the expectation that a new paper edition was due to be released today in Canada but from reports of the distributor being low or out of stock, the reality of actually seeing it on the shelves may be a long way out. Too bad because when you know a writer has many excellent books to his or her credit it is a shame to see only one, the latest or best known, in stock. Fortunately this title is readily available electronically. 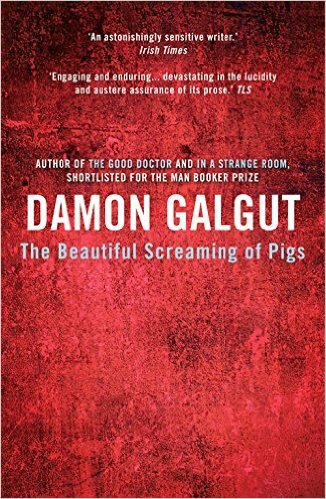 The Beautiful Screaming of Pigs is the second full length novel by South African writer Damon Galgut. Originally released in 1991 it eventually dropped out of print and, when a new edition was issued in 2005 following the Booker shortlisting of The Good Doctor, Galgut took the opportunity to revise the book, wanting to address his longstanding feeling that the rhythms of the language sounded “discordant”. The result, for whatever it is worth, is a novel that embedded itself into my consciousness with the first reading, and proved to be even richer and more deeply affecting with the second. Set against the backdrop of the first free elections in Namibia in 1989, 20 year-old Patrick Winter and his mother are heading to the land that he had, only a year before, been fighting for on behalf of the South African Army. That experience has clearly left him emotionally traumatized. He is dependent on Valium to sleep and cope with recurring panic attacks. For his mother the trip is an opportunity to visit her young black lover, the latest of a long string personal explorations she has flirted with since her divorce from Patrick’s father. As the story unfolds he will reflect on his childhood, the horror of his time in the army, his ambiguous feelings about his own politics, and the emerging recognition of the nature his sexuality. The novel opens as Patrick and his mother arrive at the Afrikaner farm where she grew up and he spent many a summer vacation. His brittle grandmother fusses over his physical and mental health, cannot understand why they are heading north, and stubbornly insists on referring to Namibia as South West Africa, the name by which it was known going back to its years as a German colony. Here Patrick will begin to reveal his family background, his closeness to his mother and his alienation from his rugged, athletic, big game-hunting father and older brother. When his brother Malcolm joins the army and is killed in a motor vehicle accident, the loss tears the fragile family apart. Patrick and his mother move out, unraveling the tightly wound expectations of marriage by which she had been bound. As she tries to reframe herself with a series of dramatic passions and obsessions, her son is placed in the awkward role of picking up the pieces behind her. So when his own obligation to the army arises, despite the sure knowledge that he is entirely unsuited for the task at hand, he enlists promptly hoping to get his two year commitment out of the way. He won’t last two years, nor will he be able to put the experience behind him. After the reverie of a walk around the farm and a hearty breakfast, Patrick and his mother head for Namibia. When they finally reach Windhoek and meet Godfrey in the township where he lives, Patrick is surprised to find that his mother’s lover is not quite what he had imagined and is, in reality, only a few years older than he is. They learn that a white activist who had been working with SWAPO (the South West African Peoples’ Organization) has just been assassinated and Godfrey must attend to details for his funeral and an election rally. This necessitates a further trip on to Swakopmund, a detour that places Patrick in a position to question his own political resolution and bravery, especially poignant in light of the fact that on the border he was engaged in fighting the very forces he is now helping Godfrey support. His mother’s enthusiasm soon wanes into boredom as, for her, the shine starts to come off her latest passion. Woven into the account of their few days in Namibia, is Patrick’s chronicle of his experiences in the army, beginning with the early days of tedium as the young soldiers pass empty days in their tents “playing cards, writing letters, telling jokes. An old scene, as old as the first village.” Patrick is keenly aware that he does not quite fit into this world of testosterone charged energy. He is hopelessly reminded of the way he felt sidelined as his father and brother tossed a rugby ball on the lawn or boasted about their hunting conquests. He senses a brotherhood of men to which he will never belong. It is not until a young Afrikaner named Lappies arrives that he finds a kindred spirit, makes a friend, and maybe – although he doesn’t realize it at the time – falls in love. Once fighting descends on the camp and strikes with a vengeance; horror, fear and death take their toll. When Patrick’s friend is killed, his grasp on sanity begins to slip. Galgut pulls the reader right into his young narrator’s shattered mind in one of the most intense descriptions of a mental breakdown I have ever read. It happens in fits and starts. Patrick tries to hang on, stubbornly, foolishly until his condition deteriorates to the point that he finds himself hospitalized, first in Pretoria and then in Cape Town. He is discharged from the army. In the hospital his parents visit. Their responses to their shocked and emotionally injured son are true to form. His father travels to see him Pretoria where he sits awkwardly, shifting from ”buttock to buttock” unable to find anything meaningful to say. His mother has been busy acting in a play and does not make her appearance at his bedside until he is back in Cape Town. She visits him daily and talks about herself. It is here that she will first tell him about Godfrey, hoping to impress or shock him. He has no answer but he remembers the small drama. Patrick’s few days in Namibia will not answer all the questions he carries into the shifting sands of the desert one year after his breakdown. But he will emerge from the visit with a sense that it is time for him to define his own sense of personal space and figure out who he is. Borders – those lines between countries defended by force, defined by politics, and blurred between people – feature throughout this novel. True to form, Galgut allows these spaces to exist for the reader to explore. He is a writer of remarkable restraint, a storyteller who matches spare tight prose with simple moments of vivid intensity. 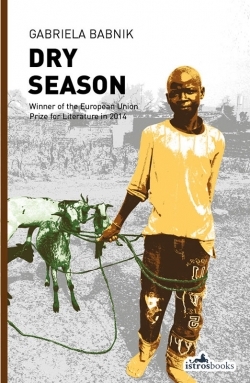 In The Beautiful Screaming of Pigs he has created a haunting, intelligent, unforgettable portrait of the relationships between people at a time of great upheaval and impending change in Southern Africa. As Namibians queue with excitement to mark their ballot toward the end of the novel, Godfrey tell Patrick that maybe someday his own country will see the same. That day will still be more than four years away.